Wesley Tierney | The Walter Mitty Hunters Club. « Azi Ahmed and her SAS lies. Wesley was a qualified gliding instructor with a VGS (Volunteer Gliding Squadron) where he was qualified to fly the Grob 109B or as the Air Force call it, The Vigilant motor glider. No civilian qualifications were needed for this; it was a military instructional qualification specific to the aircraft type. In becoming a VGS instructor, one of the routes you can take is by going through the gliding scholarship process (as an Air Cadet) and then apply to be a staff cadet. This is the route that Wesley took. From there, a bit more advanced training is undertaken and over a few years you eventually work your way up to going on an instructors course, after flying more solo hours and taking cadets up on experience flights after various training and flying assessments. VGS’s fly Air Cadets on experience flights and also conduct Gliding Scholarship training, teaching a cadet up to a solo standard where they fly the aircraft on their own for one circuit. The VGS’s also do more advanced training beyond that for staff. Wesley was only ever a B1 instructor. A B1 instructor on a VGS is someone who has passed their probationary period as a junior instructor. He was at 616VGS (Henlow) then moved to 644VGS (Syerston) where he converted to the Viking conventional glider. 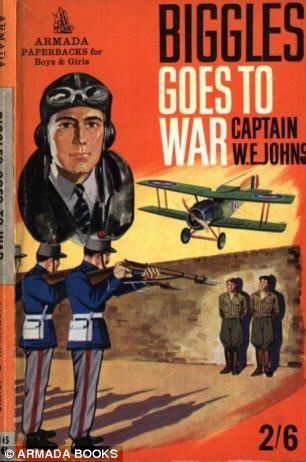 It is understood that before he moved on from 616VGS his exaggerated stories sparked a unit enquiry to take place. Wesley also did have a commission in the RAF Volunteer Reserve (Training) branch. This is a commission given to adult volunteers of the Air Cadet forces, to give it some military structure and empower them with various authorisation to help run their detached ATC units. The same is true for VR(T) commissions on the VGS. It goes without saying a lot of trust is put into them, as the VR(T) commission is afforded the same courtesy as a regular commission. As an interesting aside, Wesley brought his own Commissioning sword – which is almost embarrassing for VR(T) commissions. An early sign of Walt-like behaviour. As for the rest on his CV: the majority of it is total fabrication. 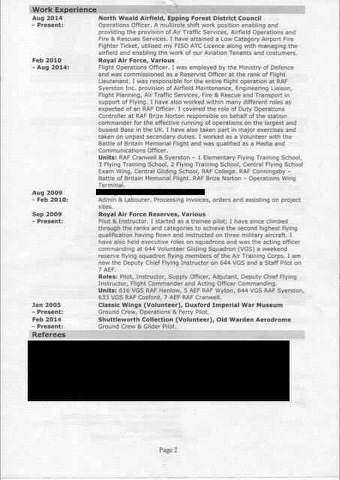 Every civilian flying qualification he lists on his CV is a complete lie – he hasn’t even made any attempt to progress towards a civilian flying qualification by taking any flying lessons e.g. training for a Private Pilot’s Licence. The claim of the 1700 hours is a total lie. He was flying aeroplanes as pilot in command on which he had never received any training. It was only luck that he didn’t manage to kill someone as these types of aeroplanes are far more complex especially when it goes wrong. He had no training on what to do if it did. He took family, friends and young children flying, with absolutely no licence or proper training. There are over 200 accounts of him doing so illegally, for which he has recently been prosecuted. Even more staggering and a perfect example of his increasingly delusional behaviour is the fact that he was signing private pilots off for their bi-annual proficiency check; this can only be done by a Flying Examiner. Examiners have thousands of flying hours and many years of experience under their belt. The purpose of the bi-annual check is for the pilot to prove to the examiner that they can operate the aircraft safely and in accordance with rules, so the examiner can be certain they have met a minimum standard. As private pilots only have to have this check every 2 years, this is a chance for the examiner to plug gaps in their knowledge and re-train as appropriate. The chance of one of these private pilots (who Wesley signed off) having a serious or fatal accident was therefore increased a lot more than if an experience examiner were assessing them. 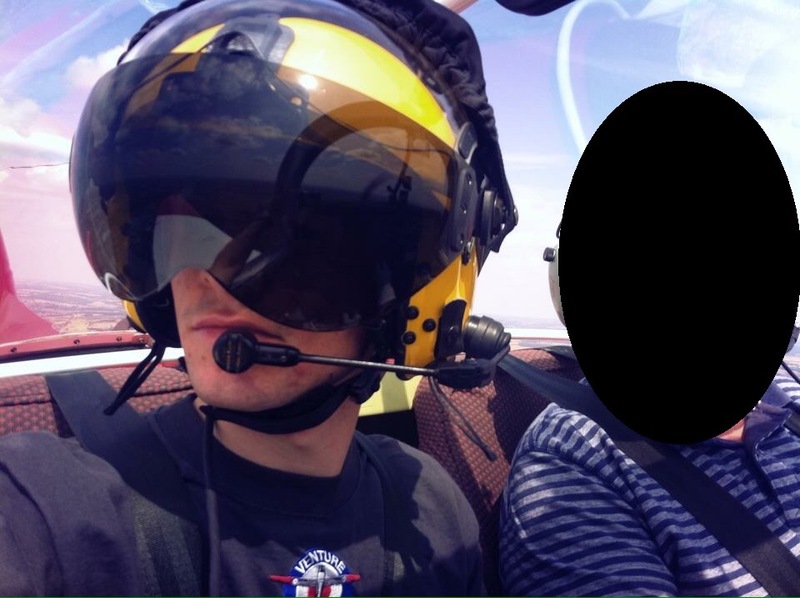 Some attached photos show him flying with a private owner – Where you can see him wearing his own custom designed Alpha flying helmet and sporting military flying gloves, whilst in a light single engine General Aviation aircraft. Again, this shows the lengths he goes to in order to portray the image of being ‘better’ or more skilled/experienced than he ever was. Certain post nominals on his CV are made up, especially the ‘cfs’ part. A cfs post nominal is ‘Central Flying School’ – you gain this post nominal on being awarded a flying qualification by RAF Central Flying School – a qualification such as an A2 or A1 category instructor – These are ‘above average’ or ‘exceptional’ instructors respectively. The amount of experience, knowledge and flying skill/discipline you need to have as an A category instructor goes without saying. They are very experienced instructors who have shown they can reach a very high standard in all areas. Wesley never achieved this, nor was he even close to, which is a huge insult to all those that have. As for the rest of the Professional Qualifications on his CV, again a large majority of this is total fabrication. Anything flying related is a lie – the only flying qualification he ever had was a B1 with a VGS and the rest is made up. We are very doubtful of the all the Flight safety/Ground Ops qualifications, as there would be no need for him to have done half of these in his role – they are certainly exaggerated if he received any form of training and almost certainly not full MOD/military qualifications. With regards to his other VGS ‘achievements’, he may have filled various ground roles, but was certainly not the Deputy Chief Flying instructor, which is an important and highly responsible Flying Supervisors post. 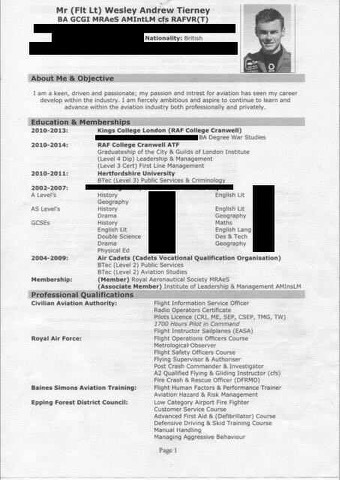 It should also be noted here that Wesley has never been qualified to fly the Tutor aircraft, but on his CV he claims to be a Staff pilot on 5 AEF and 7 AEF. 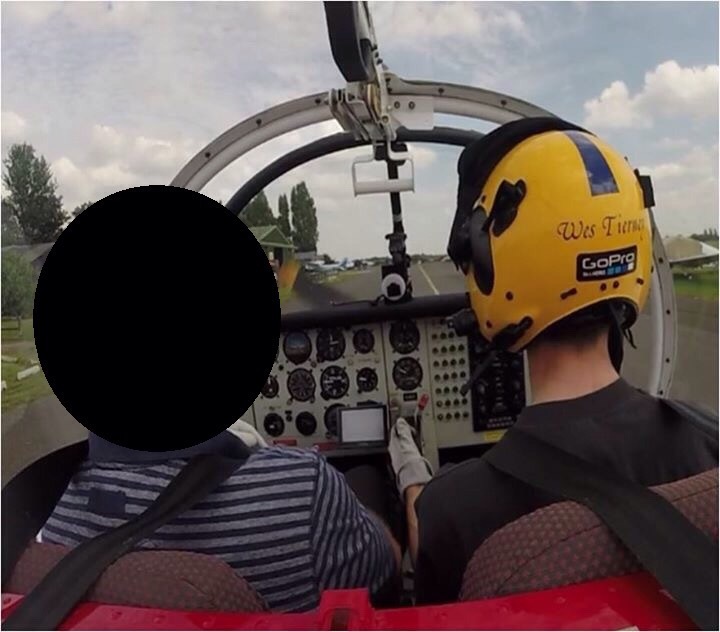 An AEF (Air Experience Flights) offer 20 min flights to Air Cadets in the Grob Tutor where they can do things such as aerobatics, usually flown by retired military pilots. 5 and 7 AEF have been informed and have never had dealings with him in any ‘staff’ capacity. Wesley involved himself in various voluntary organisations to add to his ‘Walt’ status, the biggest example being the BBMF. It is known that the BBMF volunteers have a very important role to play. They are all given black coveralls with the BBMF crest/ badges to be easily identified by the public at events when they are performing various roles; Ground crew, fund raising, PR, etc. 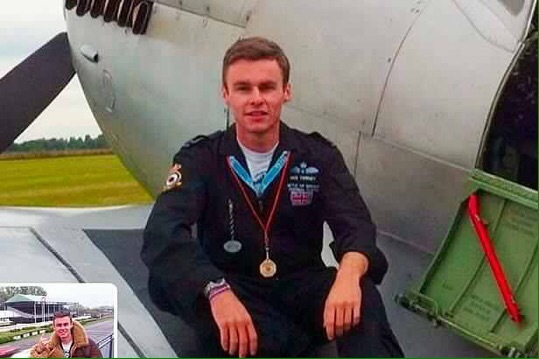 Wesley volunteered with the BBMF and took his image a step further. He had his black flying suit embroided with his gliding brevet in an almost identical fashion to a Display Pilot, so with the other badges the BBMF wear, a member of the public would be none the wiser. 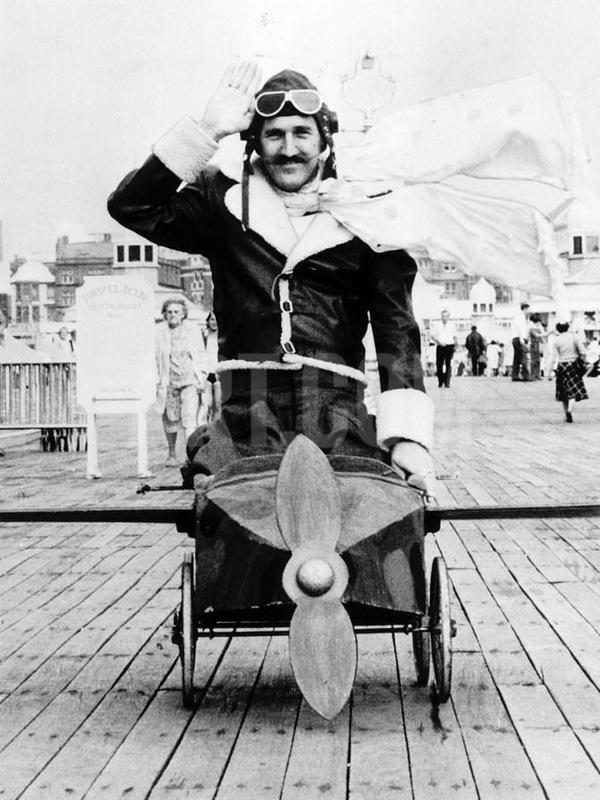 He was known to frequently turn up to other public events in flying clothing, which did not require it, whilst wearing other items he’d purchased at his own expense (e.g. NATO leather flying jacket) to fuel the image that he was a full time military pilot, or something certainly more elevated than he was. With regards to Wesley’s ‘job’ in the RAF – he started out at RAF Syerston as an Operations Assistant, which was a civilian role. He was never full time military or RAFR. Despite what he claims, his role was only ever ground base helping out with the operations and manning the air ground radio. However, on social media profiles and to others outside the industry he claimed that he was a Military Air Traffic Controller – those in the Air Traffic trade will know how laughable this is. It should be noted that in his CV where he claims to have covered the role of Duty Operations Controller at RAF Brize Norton (responsible on behalf of the Station Commander) – this is also entirely fabricated and again showcases his delusional thoughts. After various run-ins and occurrences with other staff, he ended up moving on amd in suspicious circumstances most likely due to getting individuals in trouble with various lies which ended up with someone having their posting cut short. It can be said he did not leave on good terms. The Air Force Board stripped him of his commission and discharged him as it was found out he was involved in various fraudulent activities involving transport and travel claims. 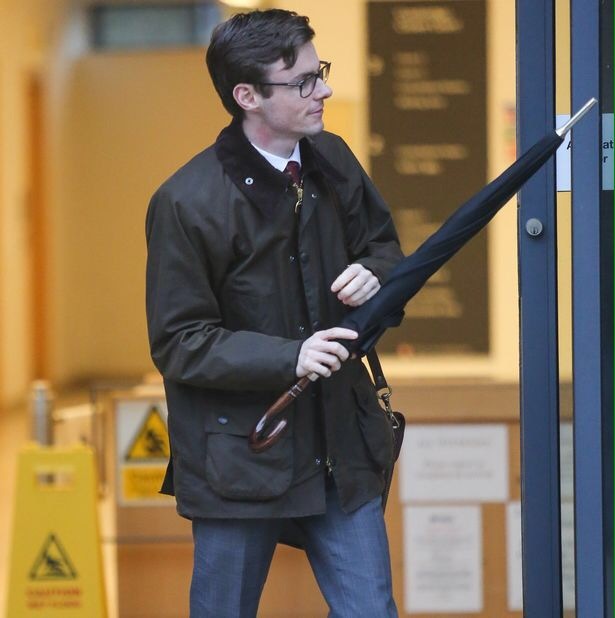 However, this did not stop him wearing his uniform and rank to gain access to military stations and using his MOD90 to still act as an Officer. Even living in the officers mess at Cranwell for quite a while until he was detected. Despite this, he claimed to be attached to an RAF auxiliary unit (Additional Commitments) at Waddington, still with a commission as a Flying Officer. Whether this is true or not is unknown – this is a story that he told to various acquaintances and is being researched. With regards to his recent employment at North Weald airfield as a Flight Information Services Officer, this qualification was also forged. Whilst a FISO is not an Air Traffic Controller, they are still more responsible than someone manning an Air Ground radio. They are expected to perform various responsible duties regarding the movements of aircraft. Here is where colleagues grew suspicious of Wesley’s ‘qualifications’ which sparked the investigation, which has just come to a close. 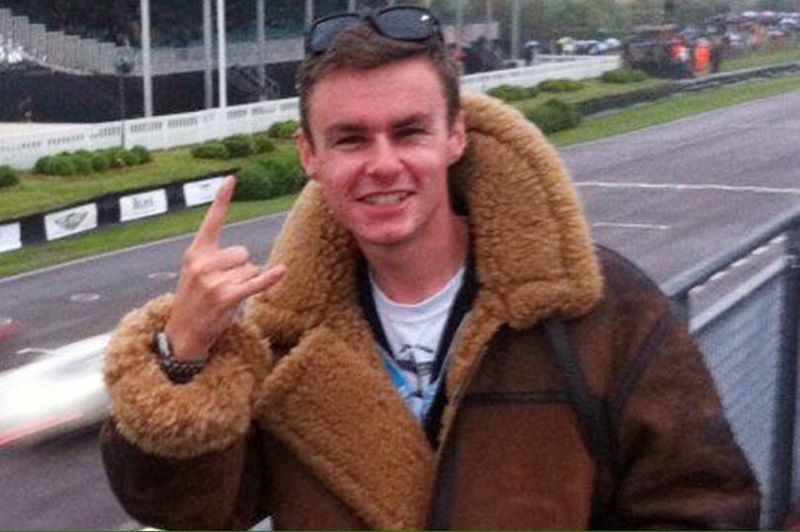 Alongside these forged qualifications, his stint at North Weald (during which he involved himself with other airfield organisations) highlighted other unscrupulous activities – he was a thief. Over the years, Wesley ‘acquired’ many items and artefacts. Paintings and pictures (the ones usually found hanging on the walls in a Mess), a plethora of aircraft parts (notably vintage ones) which were taken from owners and maintenance organisations, valuable flying manuals and aircraft documents from the WW1 & WW2 era, vintage flying clothing, a surplus ‘personal stock’ of current NATO kit (watches, flying clothing etc) and even a vintage motorcycle. It was only by chance that someone stumbled across all these items, hidden away in a locked room in an old hanger on an airfield. Usually this wouldn’t cause suspicion – it was only because the person who found them knew the owner of several of these items, which were reported to the police as missing. 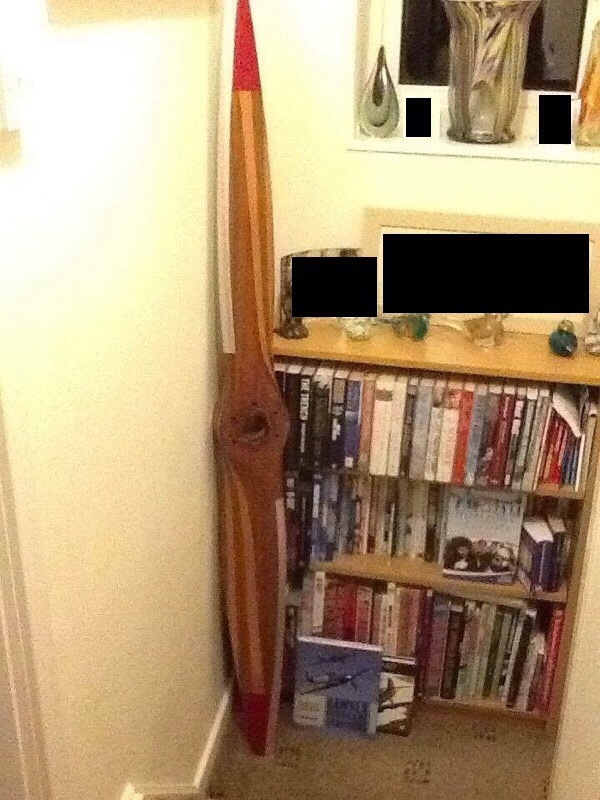 In the attached photos, you can see a photo of a propeller (taken by the owner) whilst it was in storage. This mysteriously disappeared from the hanger and after lengthy searching and asking around, was reported to the police. 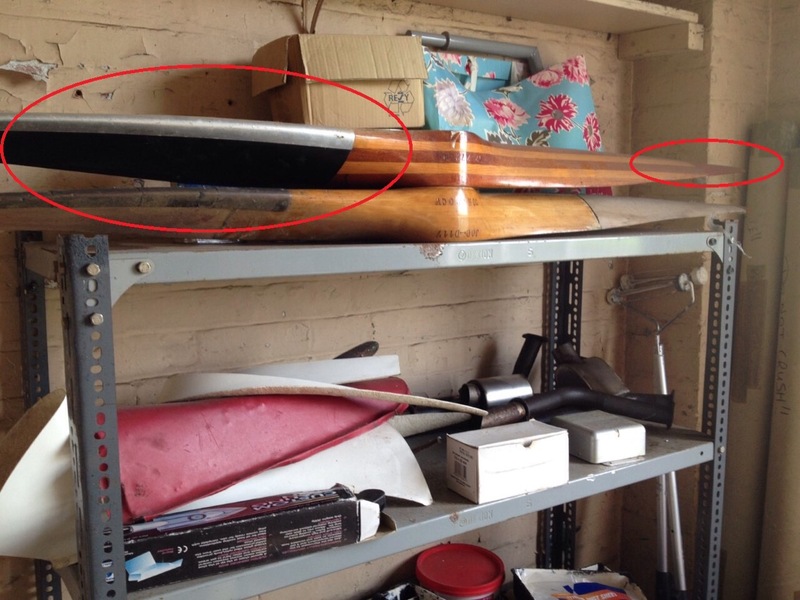 In the other photo, you can see a propeller remarkably similar (Very pointed tips, Red tips, Distinctive and contrasting laminations – two light and three dark, Broad silver-coloured leading edge protector) in Wesley’s house…after it was reported stolen. This photo was taken by a visitor to Wesley’s house who knew of various items going missing and had a suspicion of where they might be. The actual owner of the propeller who also inspects LAA aircraft has never seen another like it in all his years of doing so. The propeller is believed to have been given away by Wesley. As of now, the police have been involved and suffice to say that he has already been charged and summoned for theft and is awaiting prosecution in court. None of these actions can be blamed on anyone else. He knew exactly what he was doing and was not misguided in anyway. It has only come to an end because he was caught, not because he owned up to it. He is a completely untrustworthy, calculated, narcissistic individual with delusions of grandeur. This individual has never been in the regular RAF, nor is he a military pilot and certainly never served in any operational capacity. I dated Wes in 2012 and caught him out cheating and talking to other girls online. He would always be bragging about his job and buying framed pictures of planes and other crap. This is both a huge shock to me but then it really doesn’t surprise me as of the way he was back then.